Hazel and Jack have been friends for ages. While Hazel's mother tries to convince her that it would be a really good thing for her to make some new friends and maybe even give other girls a try, Hazel remains committed to Jack. Together, Jack and Hazel use their lively imaginations to turn the surrounding woods into an enchanted forest and to convert an abandoned shack into a mansion. They fight aliens and wizards, and save the day as a team. Hazel knows that only Jack really understands her. But as they start fifth grade, things change. Jack no longer is as interested in Hazel and their games. He wants to spend his time with the boys. Mom tells her that this is normal, but Hazel knows the truth: it's a curse caused by an evil mirror that distorts your vision and only she can save Jack from the evil Snow Queen! A strikingly original piece that transcends its genre. The story can of course be read as an homage to the tales of Hans Christian Anderson (The Snow Queen and The Little Match Girl in particular). Alternately, it can be seen as an expansive meditation on change and growth (and the difficulties of adapting to both). Or, perhaps it is a combination of both? In much the same way that fairy tales sometimes serve as fables to guide us through the real world, perhaps the real world is returning the favor in this story. The good part of this story is that no answer is every really given and interpretation is left up to the reader. That is the strength of the book but also the root of its problem. Being such a thematically complicated book, it is hard to imagine the proper audience for it. 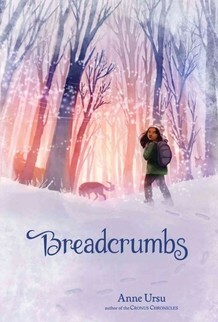 The ages of the protagonists and the book's subject suggests a Middle School reader, but that is not a group that will find this tale easy to digest. Instead, I fear that they would find it pretty boring. So, kudos for a sophisticated and beautiful book, but it is one that will have difficulty finding readers.